Sometimes a blank wall just doesn´t look right. It needs something. 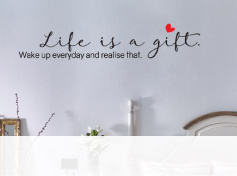 With wall stickers, you can completely transform the feeling in your room and create a really beautiful focus point. Whether you want a classic and elegant flower design or something with a little more humour, you can find the right wall stickers to create the right feel. These are a quick and easy way of decorating your room and really add some interest to a blank wall. 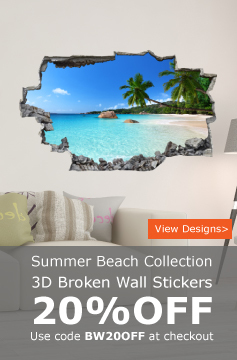 The range of wall art stickers available is astonishing. 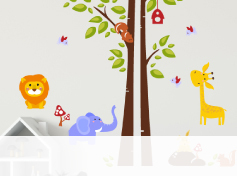 You can find anything from bright and cheerful children´s designs to more sophisticated decorative wall art stickers. These stickers have a massive impact on your room, creating a beautiful focus point for kitchens, living areas and bedrooms. The impact these wall art stickers have on a room is huge with just a small design being capable of absolutely transforming a home. If you have a little princess at home who loves anything pink, then why not brighten up her room with some pretty childrens wall stickers. There are plenty of pink flower designs to choose from that can really make a difference to her room. Or for that cheeky little monkey, why not choose a monkey height chart wall sticker so you can see just how big he is getting every single day. With a huge range of childrens wall stickers to choose from, you can make your little one's room much more exciting and attractive. Our kids wall stickers can be easily applied, so getting the childrens involve will be a great idea. You can add real elegance and charm to a room simply by adding some flower wall stickers to the decor. These stickers are quick and easy to apply but they make such a huge difference to any room. Whether you want a sophisticated large black design to contrast brilliantly with your white walls, or some cute little brightly coloured flower wall stickers, you can really make a difference with the range of flower wall stickers available. You may be wondering how you can make an impact with the decor in your home. Well with the help of large wall stickers, you can completely transform the look and the atmosphere of any room. You can choose large wall stickers which will dominate one wall in the room and make it a focus wall. 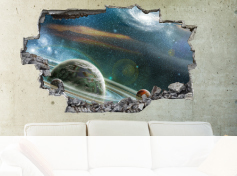 These large wall stickers are a great way of changing the look of your room with no hassle. The change you can make to a room with the help of wall decals is amazing. 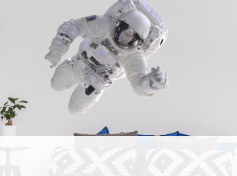 There is a huge range of wall decals to choose from depending upon the look you want to create. 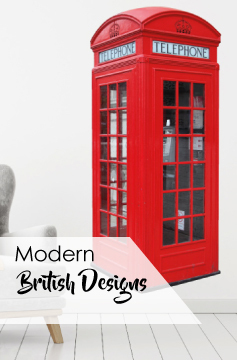 Whether you´re after brightly coloured decals for your children or more sophisticated and subtle wall decals for your living area, you will be spoiled for choice. These decals can make a huge difference to your room and they only take minutes to apply. Wall art is a quick, easy and cost-effective way of transforming the look of walls, and as we have such fantastic choice, we've got something to suit every decor taste. 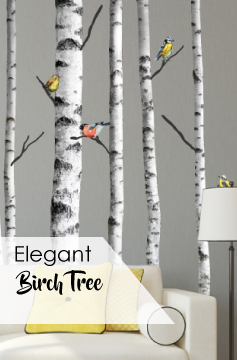 Whether you're looking for wall art for the kitchen, living room or the bedroom, take a look at the extensive variety of designs which we have right here.